How to create order from tax order form ? – If user want to use tax, shipping and discount in additional with order, that time user can use tax order form. – Same as standard order form select customer and add products. – User can add product using barcode from upper right corner . – By clicking on“Select tax” field, select the Tax value from dropdown. – Then fill Tax value and click on Submit. 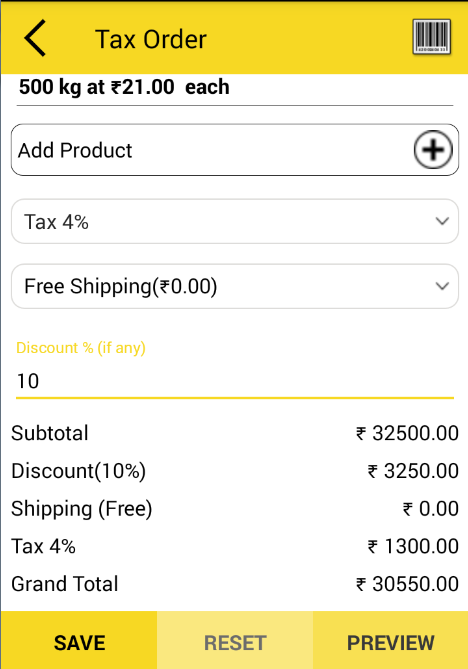 By Clicking on Shipping value, drop-down will open, select one of following. – Enter shipping value: single blank field will open and user can fill the detail of shipping. Discount : User can add discount for order( if any). – Here “preview” will show the detail of order before share with customer like products which you have added and total amount , quantity and weight, shipping value and tax rate, and customer detail. – If user want to re- create order by discarding current changes of order form then user can use “reset” button. 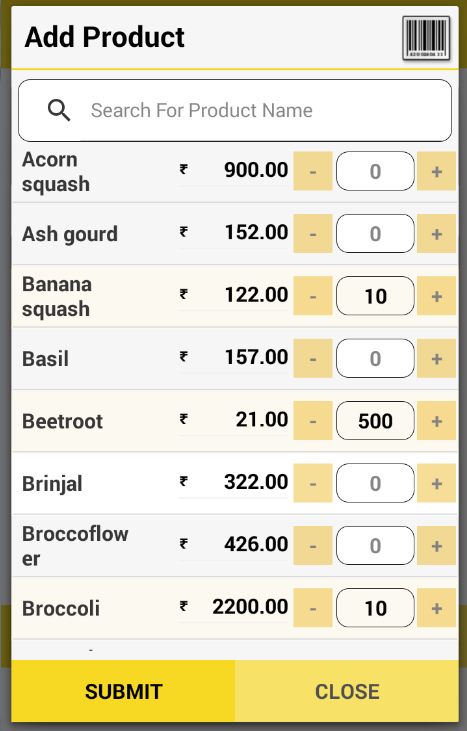 – Here preview will show the Tax which you have added with total amount, shipping value, tax rate, quantity and weight. By Satish Mantri|2018-09-11T08:28:25+00:00May 8th, 2018|Comments Off on How to create order from tax order form ?